A man who lives without risk does not truly live at all. …that blood who offer naught deserve naught in return. The reward is well worth the journey. Little of merit is won on the first try. My Thoughts: I never am disappointed with the glorious stories Deborah Cooke/Claire Delacroix pens. Her stories reach deep into the emotions of her characters enfolding the reader into a world of greed, jealousy and love in its purity. This series has a fairytale quality, and I particularly love the way the author phrases the dialogue. I began this series with The Princess which, if you haven’t read, would be a good starting point because it gives detail about the three brothers and his father. He is part of marriage wrought with little love – both his mother and father unable to love each other and express their love to Burke. Three knights, brothers all, sent on a quest by Brianna (book one), to find something which would make her laugh. Whichever brother makes her laugh the longest and hardest, she would marry. She didn’t want to marry, and knew she wouldn’t laugh at anything they would return with. The brothers left reluctantly to do her bidding. Luc didn’t leave at all, he was her choice. As book one ends, Brianna orders, by punishment, Burke to seek his lady fair as a new quest. By not marrying Brianna, he lost his inheritance and his home. We know Brianna, so happy with her love, wants Burke to find his. By Chapter 10, I was in love with Burke. He is a man of rare feeling and sensitivity. Burke’s heart has been someone else’s for many years. He had asked for her hand. She refused and wouldn’t see him. Devastated he was, but then tried again a year later. The same results. She had even left Kiltorren castle, as was told by her aunt. Sent on this quest, he looks for her again, starting at the castle he first met her. He finds no longer the same young girl, but a woman of rare beauty, compassion, loyalty and fortitude. Her love for her mother’s old maid, Heloise, is very touching. Heloise is the only link left of her mother who died shortly after her birth. Her two cousins are not as desirable as some lassies are and have need to marry. Their mother, who’s Alys’s aunt, is delighted to see Burke grace their castle walls. He comes to say he is on a quest to seek marriage. This woman isn’t very nice, falls over herself to please Burke and place her daughters before him. Alys worries she will fall into her mother’s error of trusting too readily, giving her heart where it serves her false. Alys is incredibly stubborn which frustrates Burke, however determined he is. Burke rarely loses his temper, always a smile and humor on his lips. Alys is also a woman who is an unpaid servant to her aunt’s family. Burke’s heart, even more engaged, cries for her. Burke has never failed when he wants something. He wants her. He tries to woo the lass, reason with her. She’ll have none of it. She is also very confused because she can’t understand what Burke wants of her, if he wants her at all. There are lies, told them both, ferreted out. This is a story about jealousy. Jealousy of long standing, between two sisters. The jealousy has eaten into an old woman’s heart and mind. It’s also a story of love which endures, even when not nurtured by the nearness of the one you love. It’s a story about giving everything up for love. Amazingly beautiful, thoroughly charming, a must-read for those who love Medieval romance of tender feelings and heroes who will not give up on love. 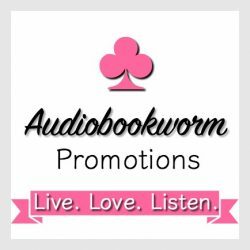 This entry was posted in Book Reviews, Historical Romance, Medieval Romance, Re-release, Romance, Uncategorized and tagged Book Review, Claire Delacroix, The Bride Quest Series, The Damsel. Bookmark the permalink. 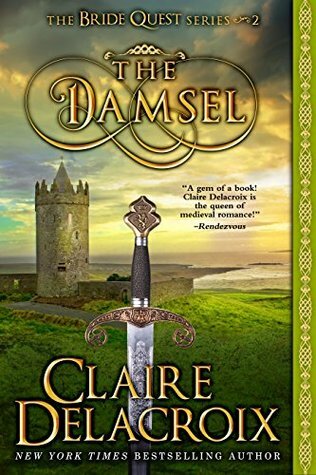 2 Responses to Review: THE DAMSEL by Claire Delacroix ~ a tale of lost love, searched for, and found — most charmingly captivating! Thanks for the wonderful review, Eileen! I’m enjoying this series a lot. Here you already have released The Heiress. Thanks for giving me the privilege of reading your work!